The PS3 to PS4 upgrade process for Battlefield 4 was recently detailed here and today we have the same thing but for Call of Duty: Ghosts on the Xbox systems. Microsoft are calling it the “Xbox Game Ahead Program” by the way. The way it works is actually pretty cool. 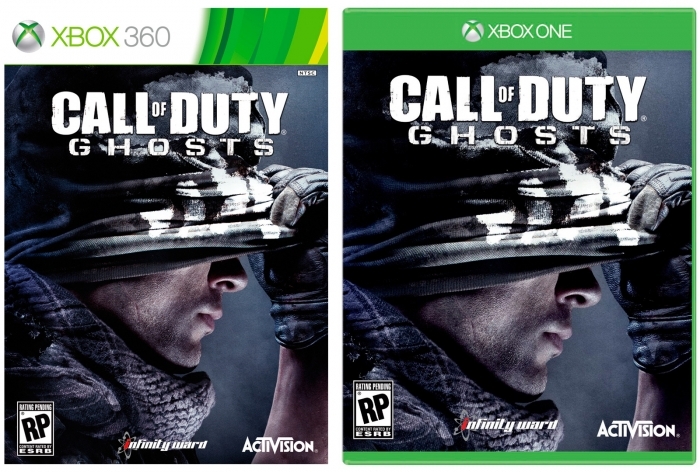 What you can do is purchase a special digital “dual-license” version of Ghosts for the price of $69.99 ($10 more than the normal RRP of the game for one system), and this special version of the game will contain both Xbox 360 and Xbox One digital versions that you can play – both being linked to and unlockable via your Xbox Live Gamertag. There is also an alternative, other way you can do it which is especially good for those of you who don’t know whether you’ll ever want the Xbox One version of Call of Duty: Ghosts. You can simply buy the digital version of the game for Xbox 360 from the Xbox Live Marketplace ($59.99 and note it must be the digital version) and then if you want to get the Xbox One version, pay an additional $10 to download the Xbox One digital version. Although note that this special offer/pricing will only be available until March 31 2014. And just to confirm, all your statistics and unlocks etc will follow you seamlessly as you transition from Xbox 360 to Xbox One (and back again, should you wish). Pretty neat!